Asslamualaikum wbt and happy day to all readers out there. Have you read about my post on Marissa's latest stroller from Beblum? If not, please do spare some time to read my blogpost as it would mean so much to me! Yay! Anyway, if you are looking for an affordable stroller, you may check out Beblum Navi Stroller. A stroller which is suitable for newborn up to 20 kg! Do you know that this Beblum Navi comes with a travel bag? Yes now you do! With this travel bag, it makes it easier for us to transport the stroller whenever we are boarding an airplane. Easy to use and sleek, with a Beblum logo in front of the bag. Let me show you how this bag works. Super easy and simple, right? 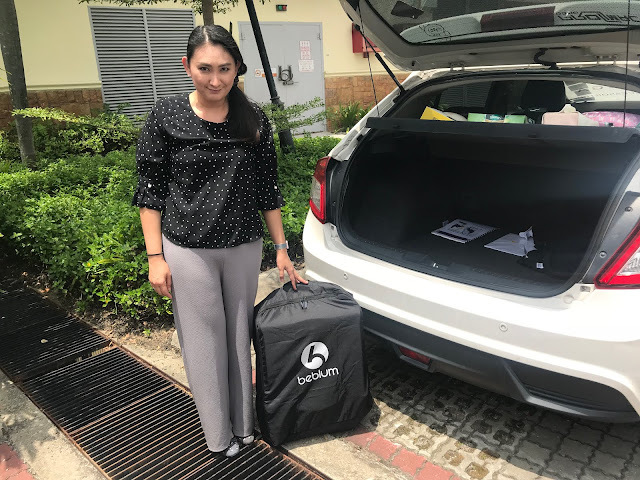 You can get the travel bag via Beblum Website for RM139. 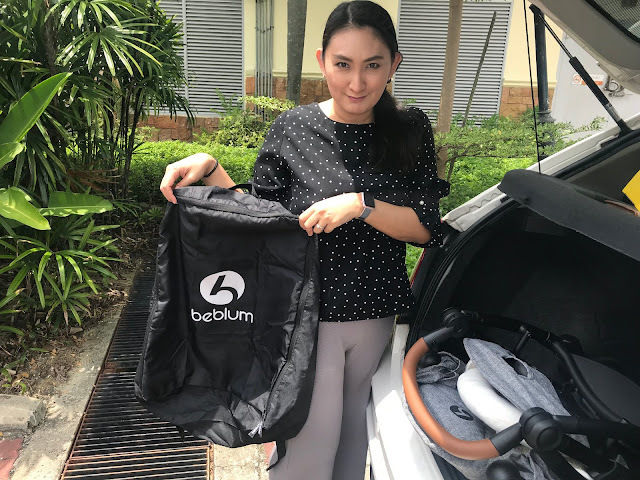 Lets make our airline travel a little less hassle with this travel bag as you may know sometimes, certain airlines won't let a stroller to be inside the cabin and will only recognize a stroller in a bag. Well to me, it is simply just for the sake of organizing my stroller at this moment as we do not travel via airline that much. Hehe. 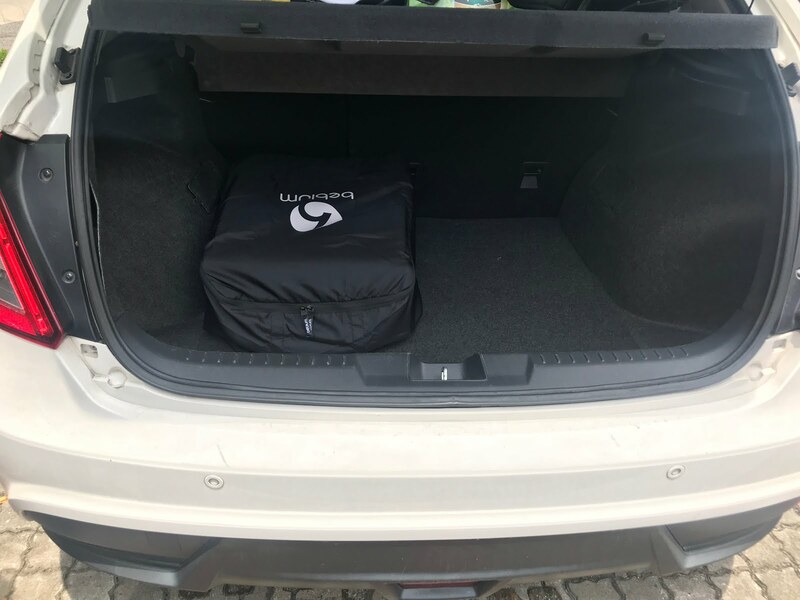 I love how having this bag makes my car trunk area looks neat and spacious! The travel bag has a shoulder sling for easy carry. Even a mother like me could carry a stroller now. Hehe.